The Indian-American community will accord a grand reception to Prime Minister Narendra Modi when he travels to the United States in September to attend the annual General Assembly session in New York and a White House meeting with US President Barack Obama. Leading organisers of the proposed reception have been searching for past few weeks a venue that can accommodate between 60,000 and 80,000 people. 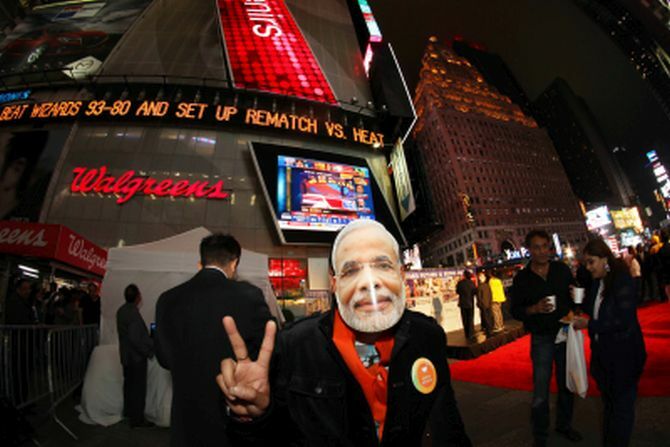 However, the two most desired venues -- Yankee Stadium in New York that can accommodate over 60,000 people, and Giants Stadium in New Jersey with a seating capacity of 80,000 are already booked for the last week of September, when Modi would be in the US, Bharat Barai, one of the organisers of the event told PTI. While the dates of Modi's trip are yet to be announced officially, Barai said that his public reception is expected to take place on September 28. "Given Modi's popularity, we are expecting thousands of people to attend the historic reception hosted in his honour," said Barai. Overseas Friends of the Bharatiya Janata Party's president Chandrakant Patel said hectic preparations for holding a massive public rally of the Indian diaspora for Modi in the New Jersey/New York area is being done at the national level. “OFBJP is working along with the leaders of all prominent Indian and ethnic organisations locally and at the national level to make this historic event a grand success in which about 1,00,000 people are expected to attend," Patel said. 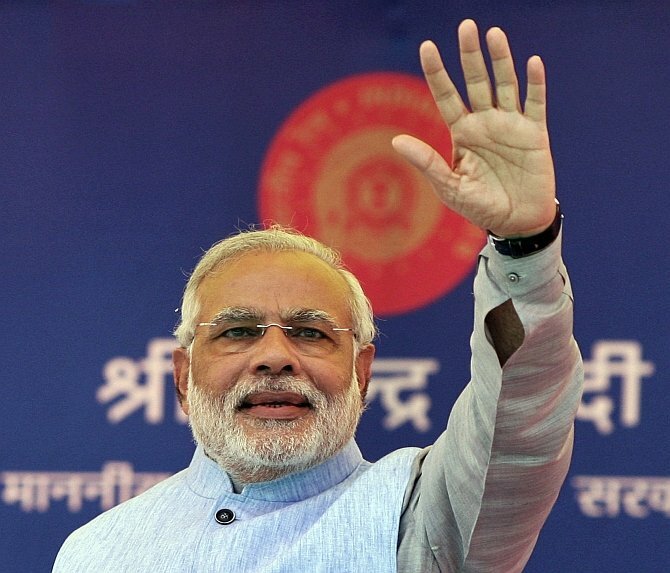 Modi's trip to the US in September will be the first after he was sworn-in as the prime minister on May 26.